Social media is easy if you have hundreds of thousands of followers. Post an update, answer any questions, and wait for results. Unfortunately, it takes time to build that kind of following organically, and until then, you’ll still need to get the word out about what you’re doing. The good news is, if you’re planning an upcoming event, there are ways you can easily get the word out without a huge built-in audience. Here are a few social media marketing tips to help make your next event a big success. Until you have a following, your posts will go to the same audience unless you take extra measures. One way to do this is to spend a little money to boost your post to strangers. Twitter and Facebook both allow you to pay to create a post, then pay for it to display to a wider audience. This can not only get more attendees to your event, but it may bring you more followers. Before you start promoting your event, come up with a hashtag to use before, during, and after your event. Collect names and do a drawing for a door prize from those who used that hashtag. Also be sure to share any interesting posts about the event among your own followers to give those who are talking about you some extra exposure. If you’re marketing on Facebook, it’s important to note where users are spending the majority of their time on the platform. Groups have become a popular place for brands to get the word out about what they’re doing. Find groups that are local to where your event will be taking place and join. Make sure you follow the group’s guidelines for spreading the word about your event. You can avoid appearing spammy by simply posting for volunteers and interacting with existing posts. Since you can now join groups using your organization’s Page, even a helpful comment will positively represent your event. When you’re scrolling through your own social media feed, chances are you pay more attention to pictures and videos than text. Use this to your advantage by including photos and videos with every post. You can generate excitement by sharing visuals of your team preparing for this year’s event, relive last year’s event through photos and videos, or any other creative ideas you can generate. You may not have a large following, but it’s likely some of your supporters do. Reach out to those participants and collaborate with them to come up with ways you can let their followers know about your event. If you have speakers or special guests, give them all the information they need to get the word out about your event in advance of the big day. 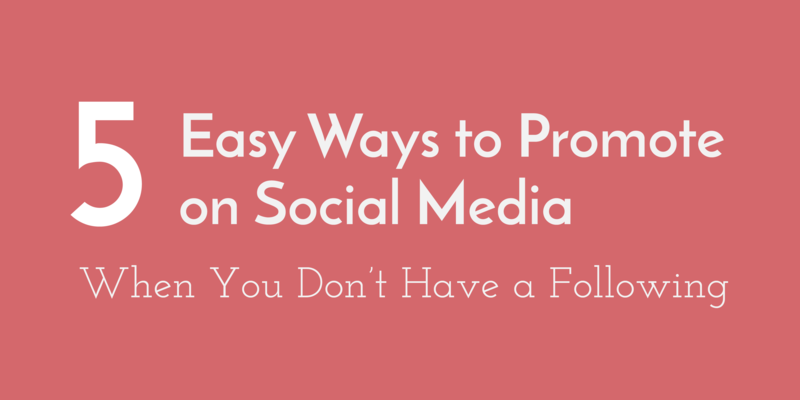 You don’t need a six-figure social media following to promote your upcoming event. With a little creativity and hard work, your team can get the word out on various social media platforms and possibly land a few new followers along the way.